I’ve mentally composed this post several times as I try falling asleep the past few weeks, but now I can’t remember what I was going to say. Trust me, it was eloquent, witty, and just the right amount of heartbreaking. You would have loved it. Instead…I’ll be making this up as I go along, and it won’t be nearly as eloquent, funny, or appropriately heartbreaking. I would absolutely say that sitting here at Year 1.5 feels wonderfully, unbelievably different – and better – than being at 6 months or a year after Christian’s birth/death. In a lot of ways, I’ve come a long way in healing. Of course, in a lot of ways, I also feel irreparably broken. holding (some, not all) babies. I even held a one-day-old baby this summer! getting through my days, weeks, and months without wanting to stop existing. I was really depressed for the first few months, and I’m so glad to not feel that way anymore. making birth announcements for friends. talking about Christian to strangers. The first time I told someone that my baby had died, I barely made it through a sentence without wanting to run away and cry. thinking about having another baby. There will be at least 2 years between Christian and whoever comes next, and I do appreciate that he’ll have his own space. going to church. There are SO MANY babies and pregnant women. hearing pregnant women complain. I know pregnancy can be miserable – but from my perspective, I would give anything to have a healthy baby safe inside, even if it meant being on bed rest or giving up sweets (seriously) or whatever. rare moments when I think about how old Christian would be and what he’d be doing. One of my friends was due at the same time as me, and sometimes I realize that Christian would be toddling around with her little girl, he would have had his first birthday, I’d be chasing after him and getting frustrated about teething and naps and dirty diapers. family milestones, like Evan starting school or a nephew getting baptized. These are things I will never see Christian do. I don’t know if this sense of loss will stick around for the rest of my life, but it’s certainly here now. baby showers. I tried one a few weeks ago, and made it all the way until gifts were opened. I took off because…baby clothes. They’re so tiny, but they’re still so much bigger than Christian was. But, even with the list of things that are still hard, overall my life is so much better than it was last year. Or six months ago. I don’t spend every day feeling awful. When I drive Jarom to work, I drive past the hospital where I got the news that Tiny Baby would die. When I drive Evan to school, I drive past the mortuary. So there are lots of daily reminders, but they don’t make me feel heartbroken (usually). 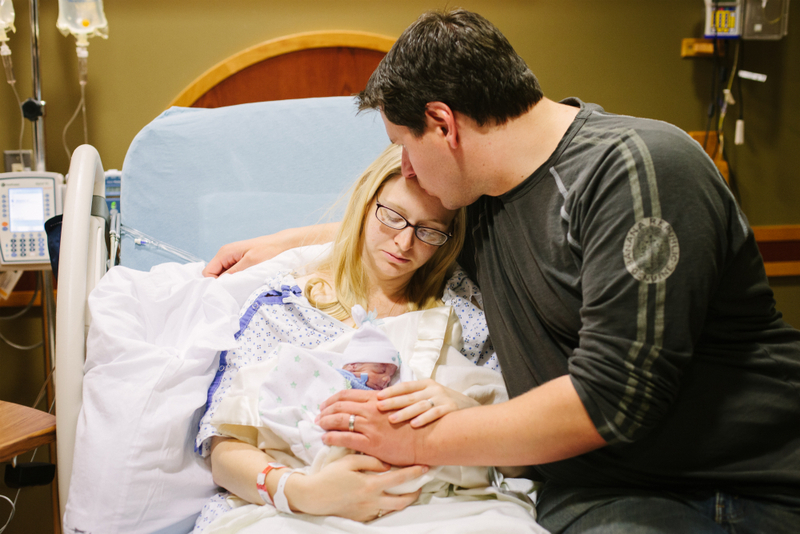 I know this sounds weird, but I love – love – love meeting other parents who’ve had a baby die. They feel like instant kindred spirits. Maybe it’s just nice to talk to someone about Christian, and about their baby, without the awkward “I’m so sorry for bringing that up, I don’t know what to say, let’s talk about something else” moment. I like talking about Christian. Actually, I love talking about Christian. I can’t see him or hold him or watch him grow; I can only talk about him. So I do, maybe too much. But I really appreciate being able to talk about him with someone who understands, from experience, how wonderful it feels to talk about him. Was that eloquent? Heartbreaking? I didn’t get much wittiness in there, sorry. Maybe at Year 2! I don’t think it could ever get old hearing about him. Thank you, tons and tons. Anytime I think of my friend Mika, I also think about Christian. The two of you are so closely connected in my mind that I can’t think of one without thinking of the other. He will always be part of who you are. :) Also, I am glad some things have gotten easier for you. This makes me so happy. My greatest fear is that Christian will be forgotten and I’ll spiral into insanity thinking I have invented him…which probably shows that I’m already legit crazy. No need for a spiral. I was thinking about Christian today so I came to your blog to catch up on some posts and to tell you I was thinking about him. (And you guys.) Hope we see each other again in FF one of these days!